Holland I.S.D. Superintendent, Cindy Gunn, Announces Retirement. After thirty-five years with Holland I.S.D., Superintendent Cindy Gunn will be retiring at the end of January 2019. Mrs. Gunn arrived in Holland, Texas in January 1984 upon graduating from the University of Texas at Austin. She began her career as the High School Science Teacher and remained in that capacity for eleven years before becoming the Holland Elementary Principal. After nine years on the elementary campus, the Holland I.S.D. School Board hired Mrs. Gunn as Superintendent. For the past fifteen years as superintendent, she has been instrumental in navigating the district through two successful bond elections and improving the facilities for the students of Holland ISD while creating a challenging learning environment for all students. 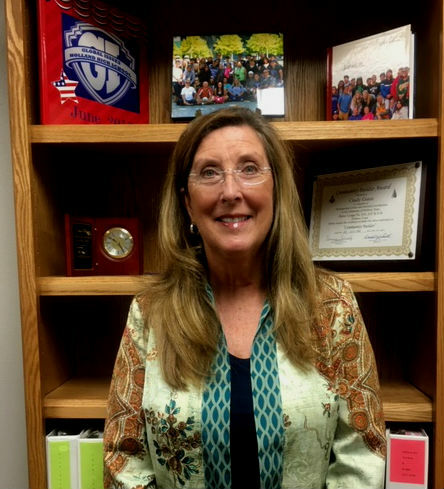 During Mrs. Gunn’s time at Holland I.S.D., she implemented many programs that provide students with learning opportunities that create an environment of making the world a better place. As a high school science teacher, she required all of her students to participate in scientific research and present their findings as local, regional, and state science fairs. Mrs. Gunn prepared students for UIL Science Competition where many students competed at the State UIL Science Contest earning college scholarships. As the Holland Elementary Principal, Mrs. Gunn and her teachers created a learning environment conducive to all students. She was given the Texas Woman’s University “Advocate for Excellence in Literacy Award” in 2007. Cindy Gunn was nominated for this award due to her dedication to high-quality educational opportunities for all students and her consistent support of Reading Recovery in Holland I.S.D. since 1998. She provided staff development for teachers and instructional assistants to ensure literacy learning opportunities for all children. Mrs. Gunn has distinguished herself as an educational leader with the vision and commitment to ensure that all children become successful learners. Mrs. Gunn was named Woman of the Year in 2008 by the Holland Chamber of Commerce and also given the Community Builder Award in 2012 by Zerne Lodge N. 615 for distinguished service and personal contributions to the community of Holland, Texas.